Moving to a new school? NJHS membership is transferrable from one active NJHS chapter to another. Simply get a letter from your current school’s principal or adviser verifying membership. Be sure you notify your new school of your NJHS membership within 30 days of enrollment. You will be automatically granted membership, but will need to meet the eligibility requirements of your new school within a reasonable period of time, usually one semester. Your new school may have a higher cumulative GPA required for membership, for example. If you have been identified as a candidate for membership, but not yet been selected, you are not an Honor Society member. Thus, there is no membership to transfer. 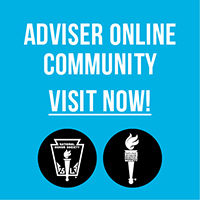 You will need to learn eligibility criteria at the new school and find out from the chapter adviser how to submit a candidate information form to be considered for membership, if you have a cumulative GPA that meets the chapter’s academic requirement. Membership in NJHS does not transfer to NHS. The candidacy and selection for NHS and NJHS are entirely separate for each organization. This applies to NJHS students in schools with grades 7–9 who transfer for the ninth grade into a school with grades 9–12. Separate NJHS chapters are not permitted in schools with this grade division.